But the corollary to that rule is because you can’t control everything, there are times the effort will have to go into making it right. You have partners, ecosystem members, and other customers who will affect another customer’s experience. And other customers could well be the one that cause you the most headache for a couple of reasons—especially in B2C situations. 1. You may have to make a judgment call about which customer is more valuable to you. 2. You may have to make a judgment call about which customer is right. 3. Your employees won’t have a script to go by. They’ll have to use judgment, guided by your culture, values, guidelines, and the leeway and training you have given them. Within about five minutes, security banged on their door, assessed the situation, and told them firmly and loudly (I think for my benefit) that they should consider themselves warned and if any other further complaint was made, they would be asked to leave the hotel. About fifteen minutes later, there was a knock on my door. It was a bellman, with keys to a room on another floor. I thanked him, told him I wasn’t sure if I felt I needed to move given how the situation had calmed down, and that given that I was checking out the next morning, I wasn’t sure I felt like packing after midnight. Could I let them know in a half-hour? After 30 minutes, it was clear my neighbors were chastened (or passed out), so I called the front desk and thanked them for their help and told them I was going to stay put. Still, I had a lot of trouble sleeping that night, so when the alarm clock went off at a normal hour, I called the front desk and asked if I could delay check out by an hour so I could recoup some lost sleep. They graciously offered me as much time as I needed. When I went to check out an hour past check-out time, I spoke again to the man who gave me the late check out. He said, “When I reviewed the notes about last night, I could certainly see why you needed more time. 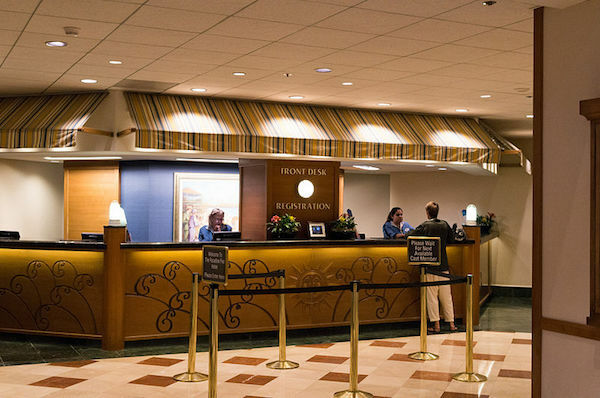 Really, we would have been happy to give you more time.” I explained that my travel plans didn’t allow for it, but thanked him and commended the hotel for how it had handled the incident from start to finish. —The hotel couldn’t know the couple next door would be the Honeymooners on meth. No fault there. When they were informed of a problem, they acted quickly, presumably without a question about customer value, but which customer was right. —They took appropriate action and responsibility. Security came quickly, they offered to move me to a different floor (and my guess a bigger room, but who knows? ), a late check-out, and kind words. A free night or even a free meal would have been overkill. After all, none of this was the hotel’s fault. —They took notes. Hopefully it includes the info on the couple next door (and a red flag will be raised if they check in again) but they made it possible for employees on different shifts to be aware of the situation so they could act as needed. Knowledge capture and transfer are important for accuracy and good decision-making. 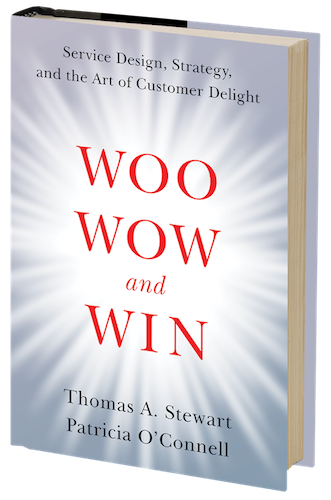 Customers judge their experiences on the totality of their journey, giving unequal weight to first, last, and peak/high-emotion interactions. And there is the macro journey: my interactions with the hotel brand overall, over the course of numerous trips—and the micro journey: my two nights on this trip. But right now, it’s about the micro journey. The hotel didn’t create the high-emotion interaction. But the staff managed it well—well enough that I’d happily go back and recommend it.